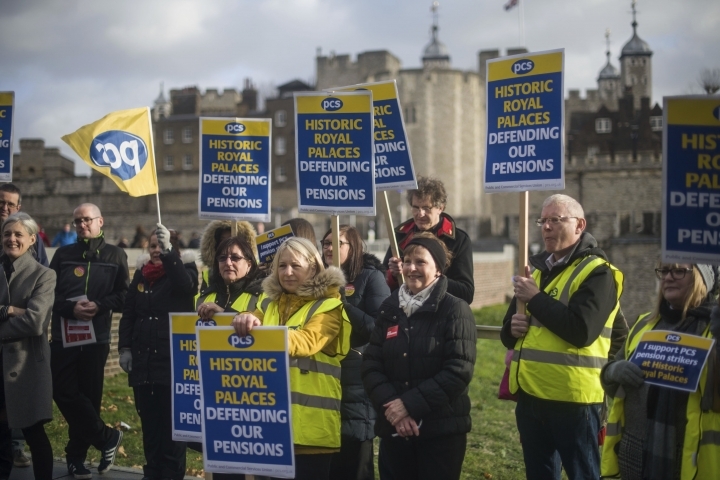 LONDON — London's famed Beefeaters and other workers at several Royal Palaces have gone on a rare strike in a dispute over pension payments. 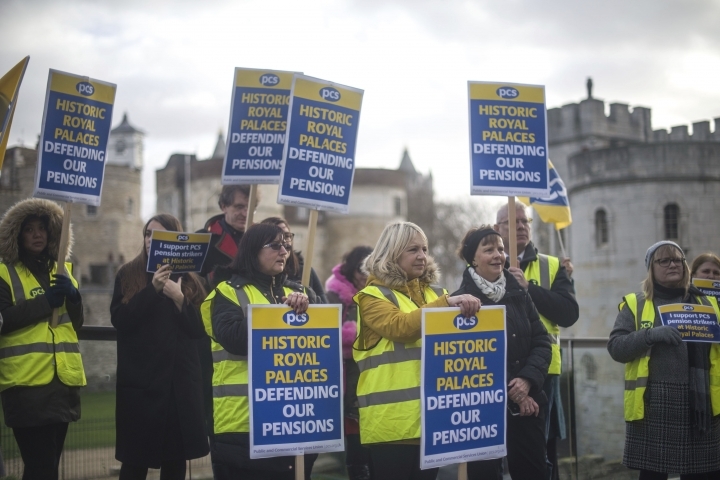 There were picket lines Friday at the Tower of London, a UNESCO World Heritage site popular with tourists, and more work actions are planned for January. The strikers carried placards but did not close the site. Strikers also appeared outside Hampton Court Palace and Kensington Palace in London, which also both remained open. It was the Beefeaters' first job action since the 1960s.